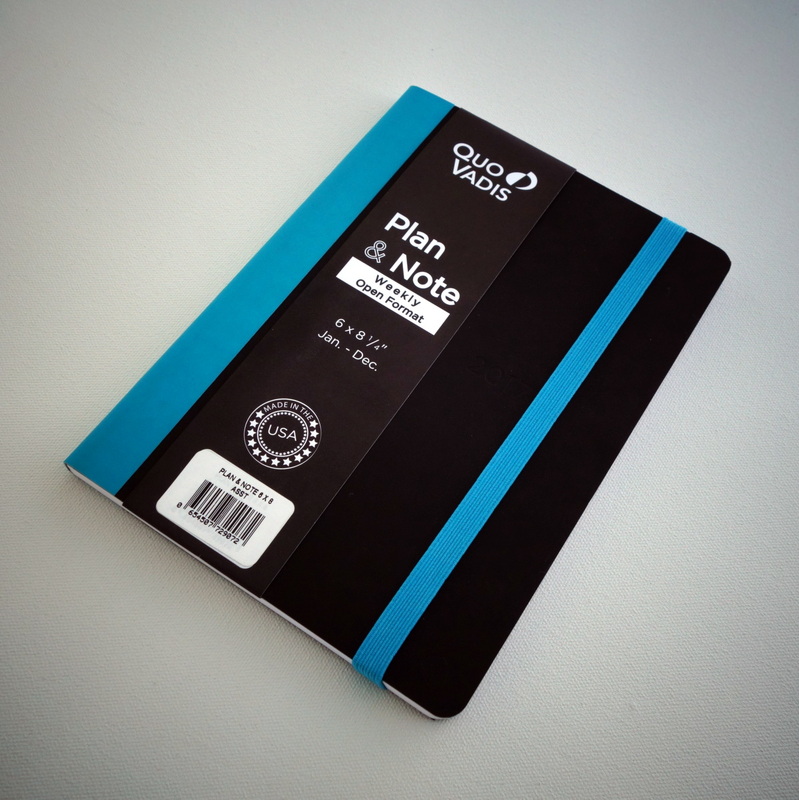 Brand new from Quo Vadis this year is the Plan & Note Weekly Planner. It has an open format, which means it doesn’t have an hour by hour schedule or a lot of extra details. It simply and effectively gives you the space and freedom to organize your days according to your own personal needs. It has one week on two pages, with Monday through Thursday on the left page and Friday through Sunday on the right page. 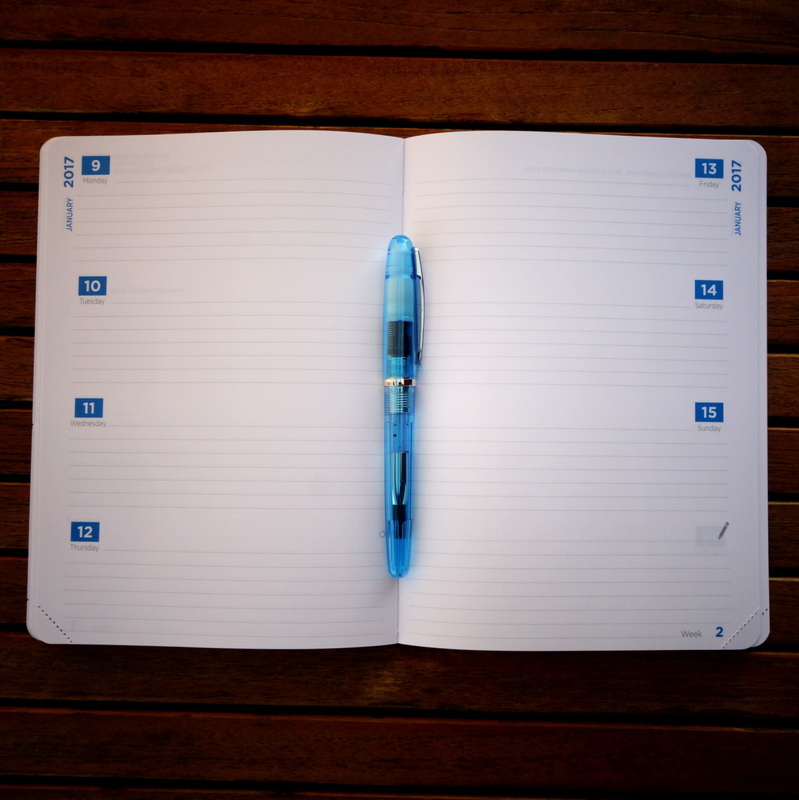 Each day has 7 blank lines for recording your appointments, thoughts, memos, plans and adventures plus an extra eight lines for notes on the bottom right. It does make a note of major holidays as well as phases of the moon. The week of the year is mentioned on the bottom of the right page. 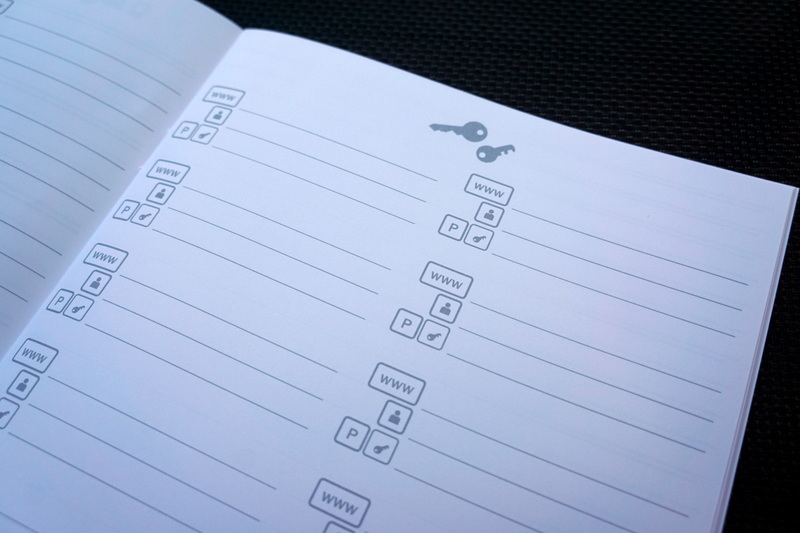 The very beginning of the planner has a page for your personal information and a page with a calendar of the current year. 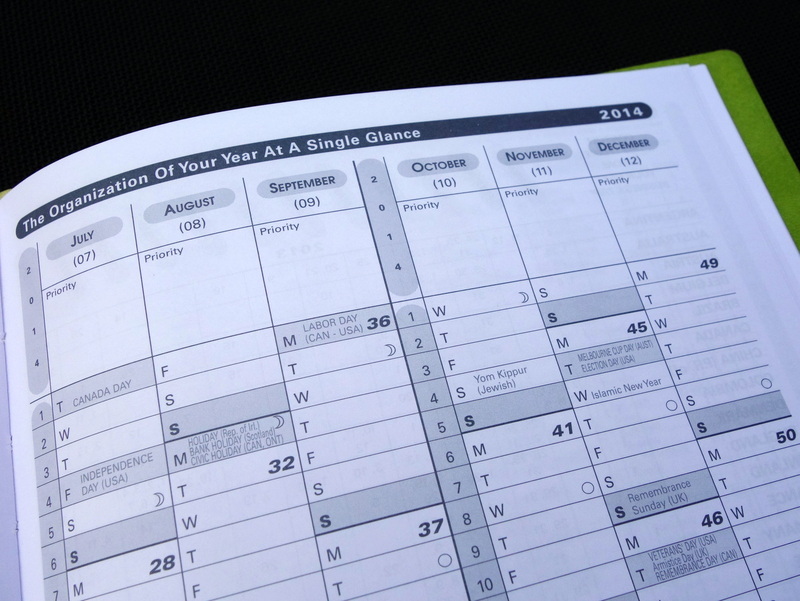 There are also 12 monthly planning pages – one for each month of the year. 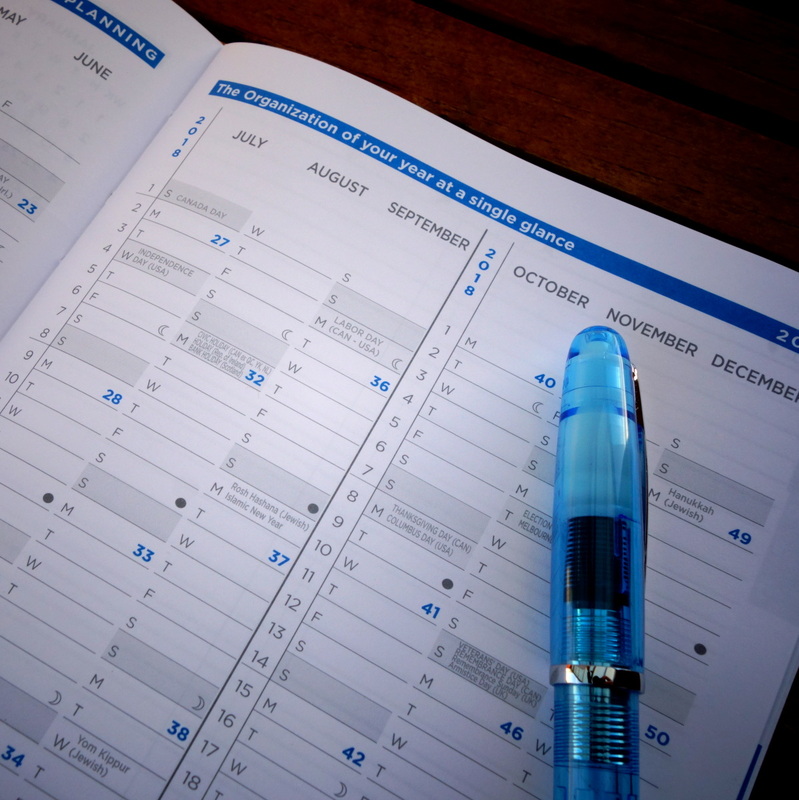 Each month has a six-week Monday through Sunday calendar grid to keep your plans on track. Major holidays and phases of the moon are listed here. The back of the Plan & Note Planner has a one page calendar for the next year and 2 pages of anno-planning for keeping track of future events. There’s also a bound-in 9 page address book for recording snail-mail addresses, email addresses, phone numbers etc. The very back of the planner has an extra 2 lined pages for notes. 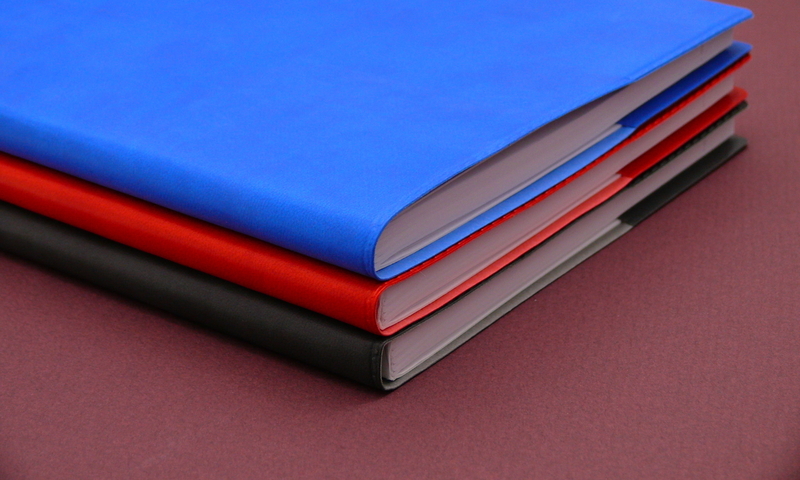 The Plan & Note’s paper, cover and binding are all noteworthy. 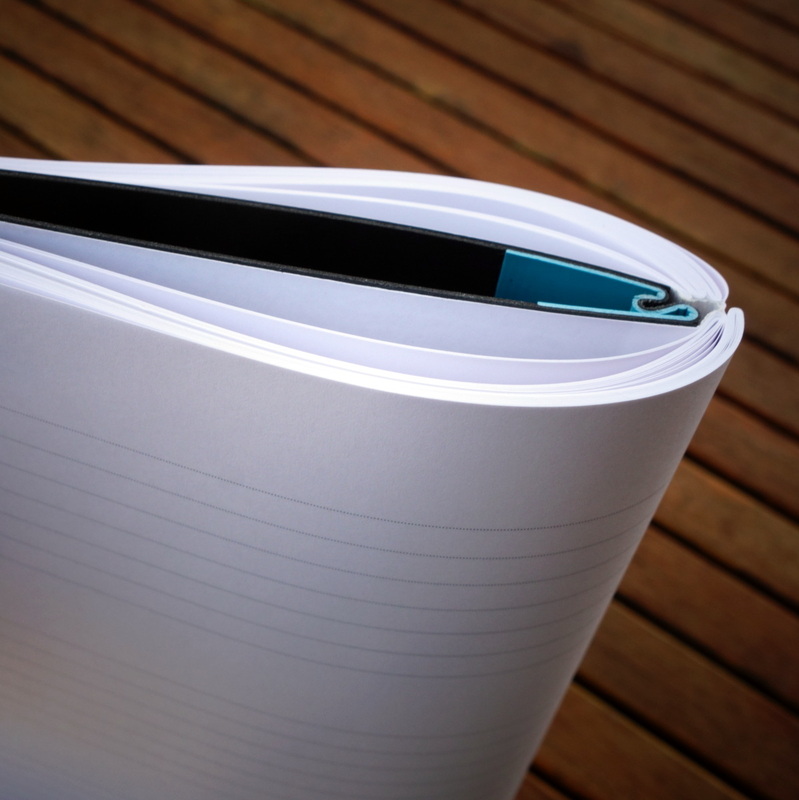 First, the brilliantly smooth paper is made by Clairefontaine. 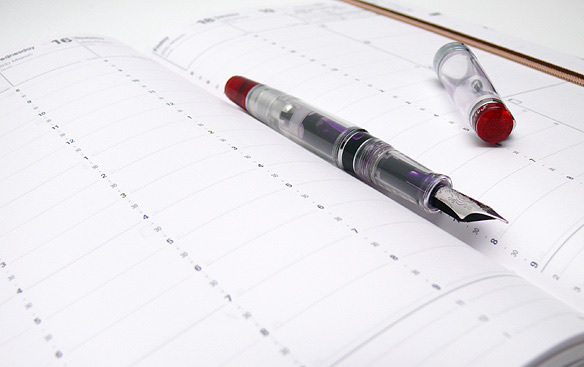 The large Plan & Note Desk Planner has glorious 90 g paper that works wonderfully with fountain pens. 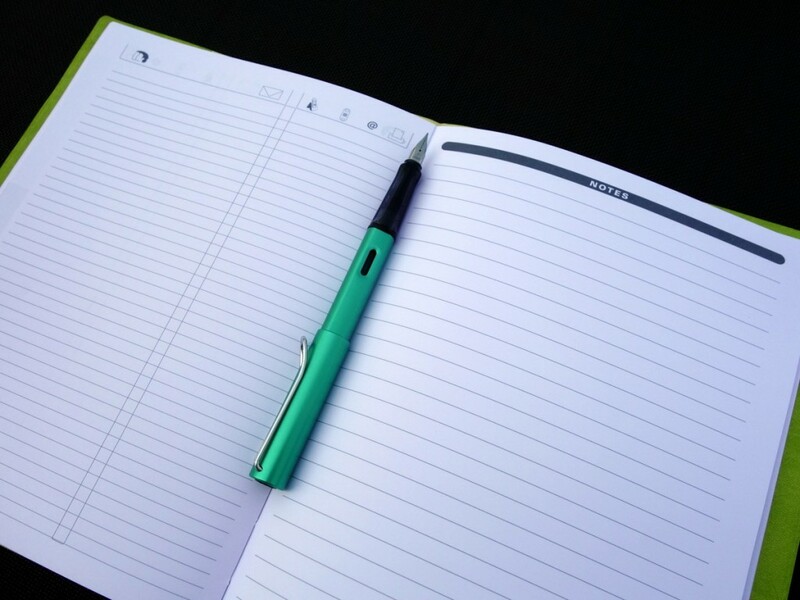 The pocket size planner has 64 g paper to keep it nice and compact. 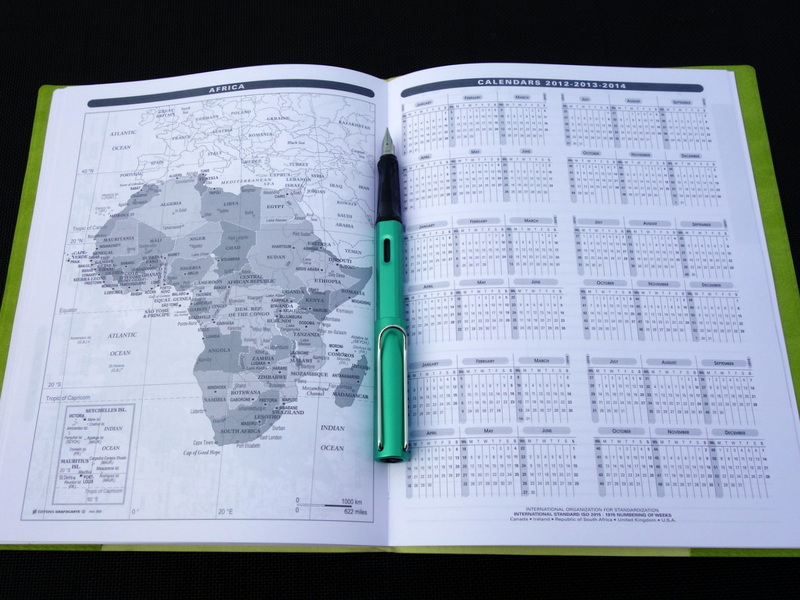 The pages are bright white with 2 color printing and have tear-off corners to help you find your place. 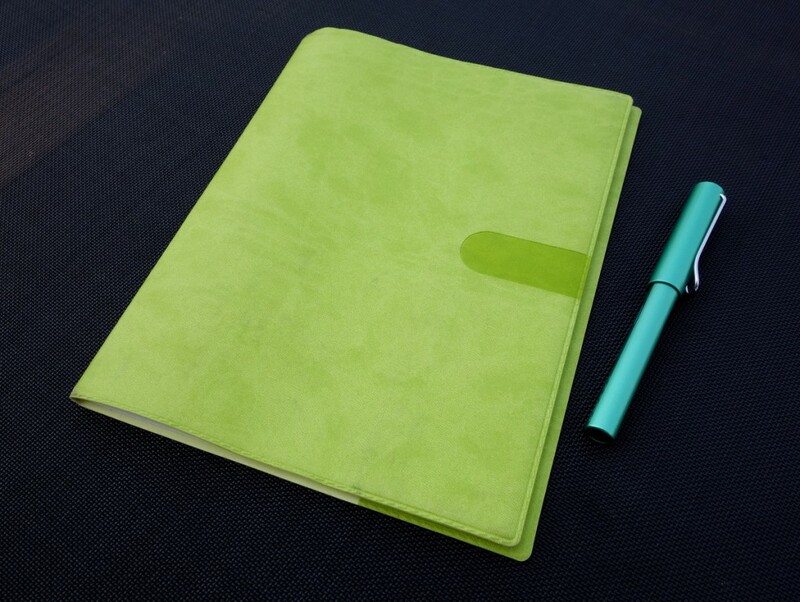 The cover is flexible with a pleasing velvety soft touch. It is streamlined and simple with only the year and Quo Vadis logo blind embossed on the front and only a logo on the bottom center of the back. The cover is mostly black, with a colorful re-inforced spine and matching elastic closure. This year’s colors include Turquoise, Rose and Violet. It has a stitched binding so that pages won’t fall out and it can open flat. 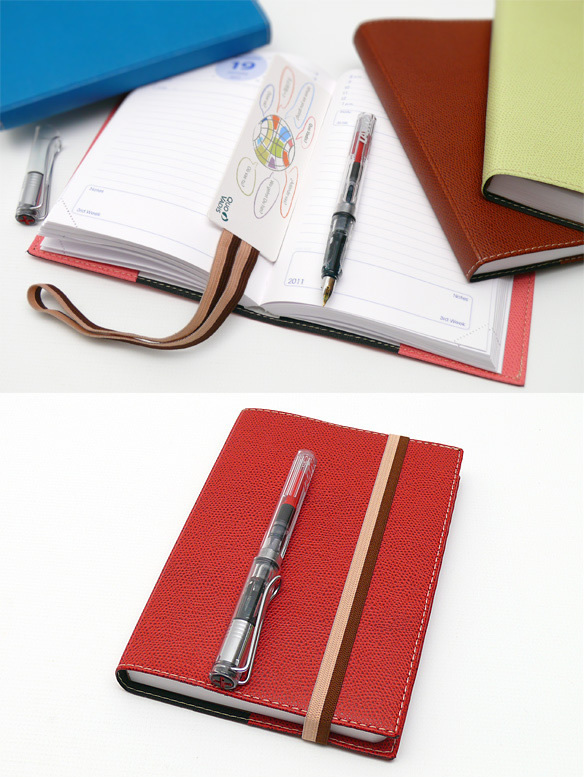 The spine is flexible enough that the planner can be completely opened backwards without breaking. 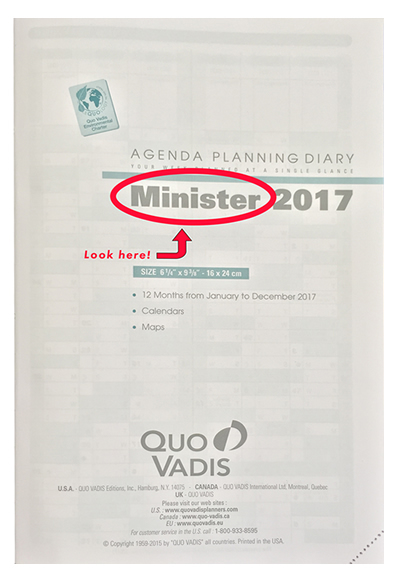 The Quo Vadis Plan and Note comes in two different sizes: a 6″ x 8.25″ Desk Planner and a 4″ x 6″ Pocket Size Planner. These planners are not on our shelves just yet, so send us an email if you’d like us to order one for you! 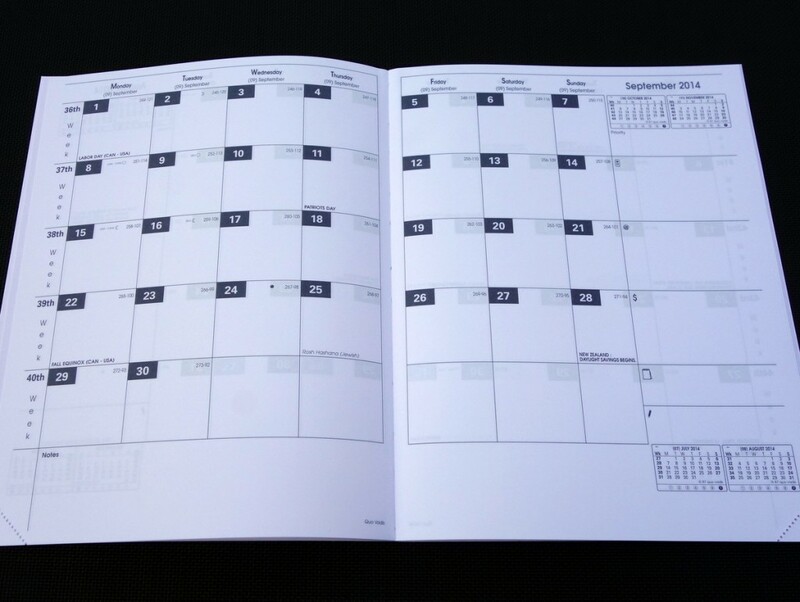 The Monthly 4 Calendar from Quo Vadis provides 18 months for scheduling beginning with July of one year and ending with December of the next. It has the flexibility to be used to plan out a school year starting in August or September, or it can be used as a regular yearly planner. 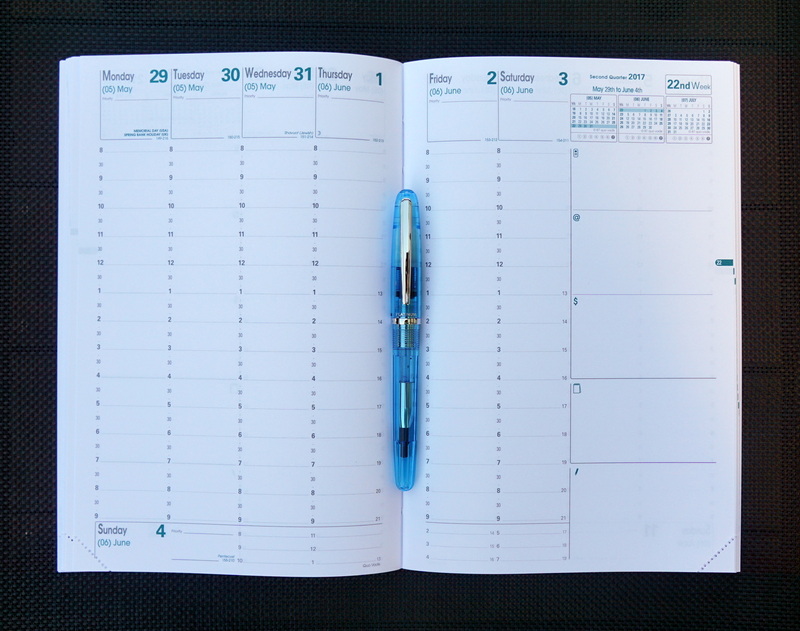 As its name indicates, this is a monthly planner, which means that it displays an entire month over 2 pages for making notes about activities and appointments. It is a compact and useful tool for those that don’t need to keep extremely detailed records for each day. Each week of the monthly calendar indicates which week of the year it is (ie 34th week etc), begins with Monday and ends with a smaller space for Sunday. Each day indicates which day of the year it is and how many days are left in the year. Lunar cycles and holidays are also noted. On the right side of each month there is space for notes such as phone numbers, websites and expenses as well as small displays of the 2 previous months and 2 upcoming months. 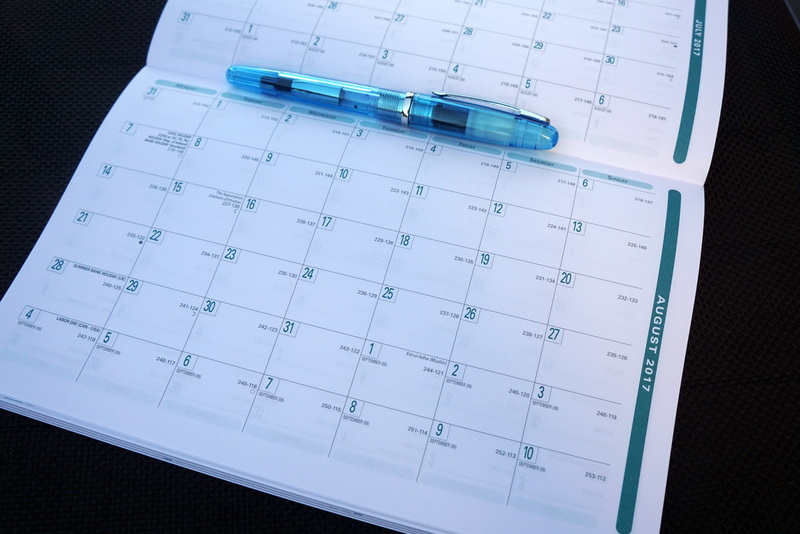 The bottom of each month has a space about 1.5″ tall for taking notes. The first few pages of this planner include a page for personal information and a year and a half of annual planning pages that correspond to the 18 months in the planner. 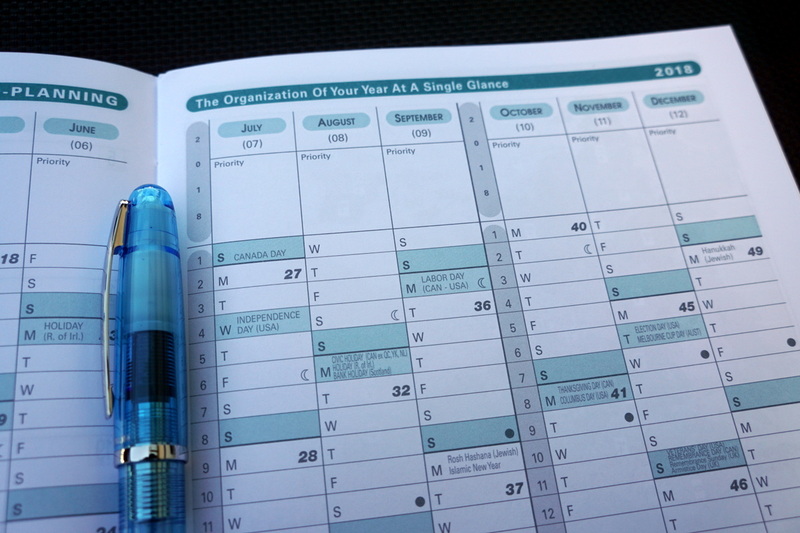 After the final calendar month of December in the planner there are annual planning pages for the following year. 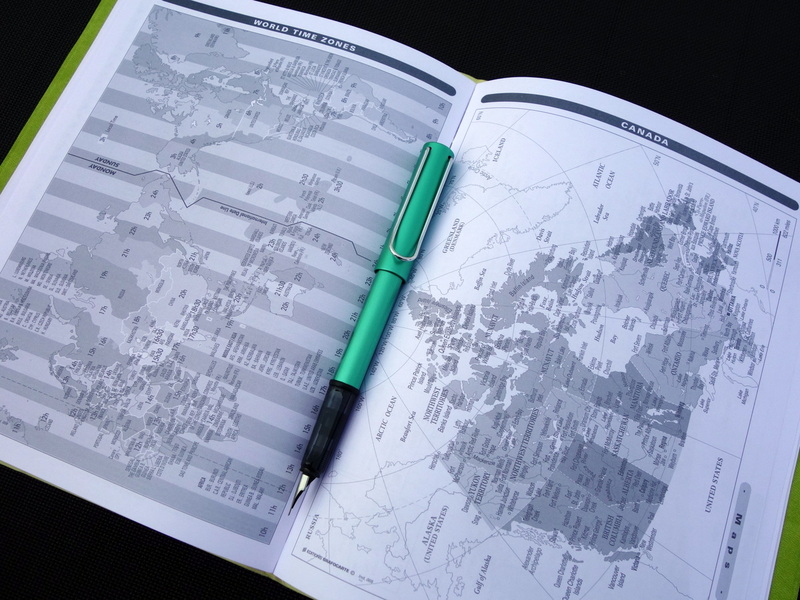 The back of the Monthly 4 planner has a chart of international holidays for 31 different countries, international telephone access codes, world time zones and 8 pages of world maps. There is one page that displays 3 yearly calendars, an A to Z address book of 5 pages and 16 ruled pages for notes. The smooth white 90g paper in the Monthly 4 planner is noteworthy because it is made by Clairefontaine. 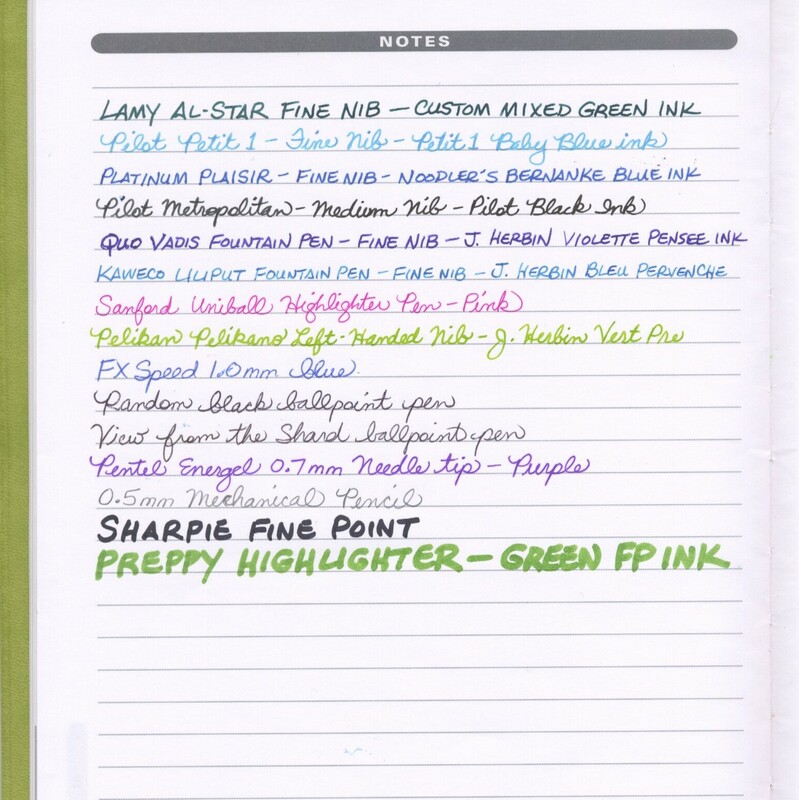 This means it is really great if you like to use fountain pens! Clairefontaine paper is acid free, chlorine free and PEFC certified. 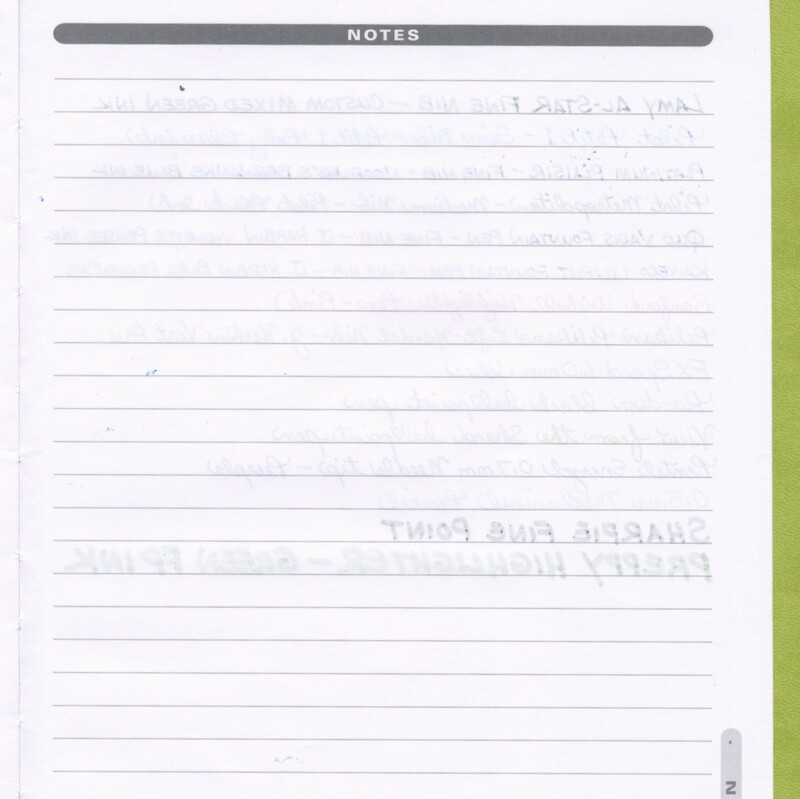 Each page in the planning section of the Monthly 4 has a perforated lower right corner. When you tear the corners off as you progress throughout the year it will help you to easily open the planner to the month in progress. Take a look at the very bottom of this post for a writing test we did with the paper in this planner. 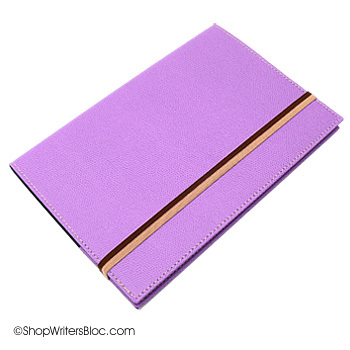 A feature that is appreciated by many is that the sewn binding allows the planner to lay flat when it’s open. The Quo Vadis Monthly 4 can be purchased with a variety of refillable covers or it can be purchased as a refill without a cover. My planner has a Bamboo Green Texas cover that has a soft, suede-like feel to it. 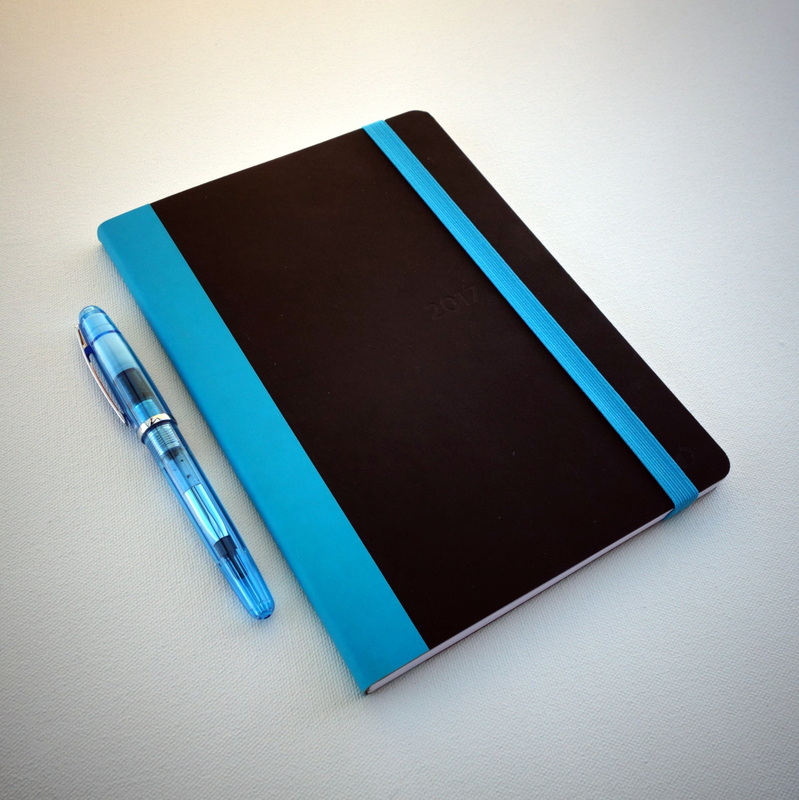 It’s the slimmest, most flexible and most light-weight of the available covers. The leather-like Soho and Club covers have stitched edges and are sturdy enough to be paired with a Quo Vadis elastic bookmark. 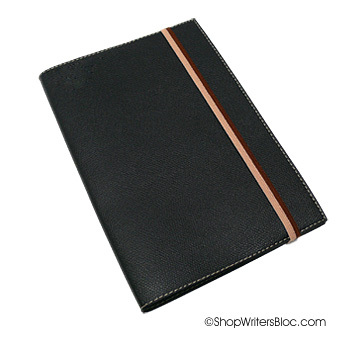 The size of this planner is approximately 7″ x 9.38″ so it will slip into a medium size purse, backpack or briefcase. My own personal Monthly 4 Planner after a year & a half of use – still looks good! 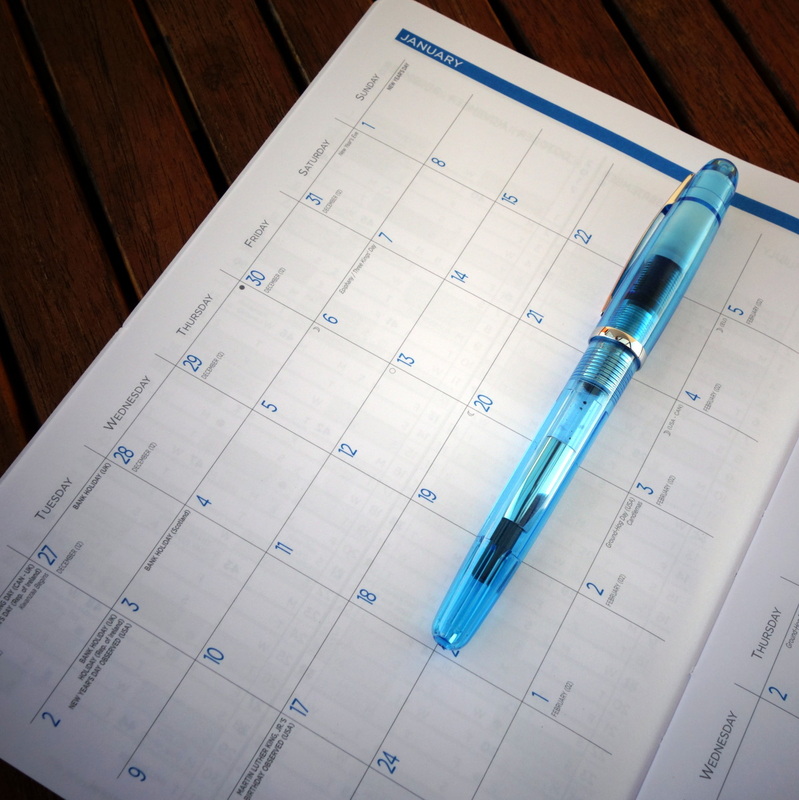 Do you like to use a monthly planner? If so, which one is your favorite? 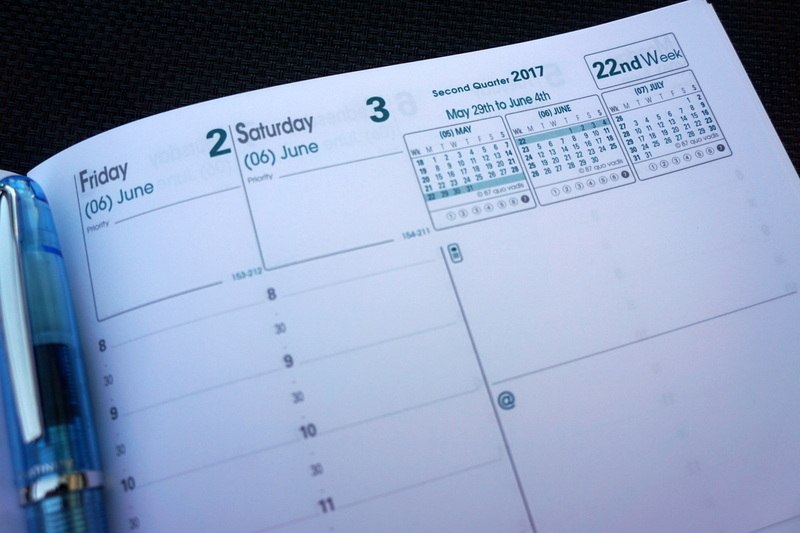 Why Use a Paper Appointment Book or Planner? 1. The act of writing by hand is a memory aid. 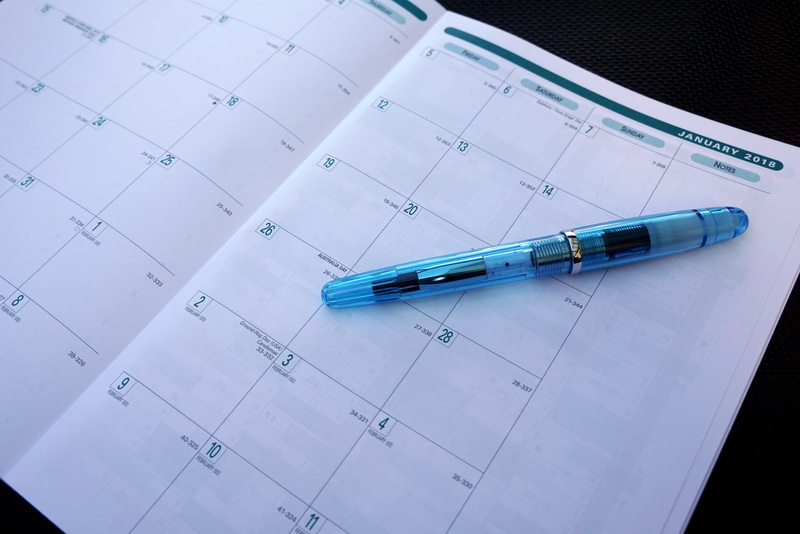 When I pick up a pen and write down events in my schedule I am much more likely to remember these events without looking at any calendar – whether it’s paper or digital! 3. It slows you down and helps you to focus. There are no notifications, videos, ads, texts, etc to get in the way of your thoughts as you put your pen to paper. Distractions can cause me to schedule things poorly but a paper organizer eliminates digital “clutter” as I plan out my weeks. 4. A paper planner can also become a memory book. I seldom look back through my digital records to reminisce, but a paper diary or record of my past events has a much more personal feeling to it. 5. It encourages creativity and is fun to personalize. I really enjoy using a different style and type of planner each year. Some planners I’ve used are very traditional and business-like, other years I’ll choose something pocket-size or a planner with eye-catching artwork. Inside I like to mix it up with a variety of ink colors and a some doodles. Some people go all-out and completely decorate their planners with stickers and memorabilia. Emotions can also be expressed with the fonts and style of handing writing that you use. 6. Handwriting is also good exercise for the brain and we all need more of that, right? 7. 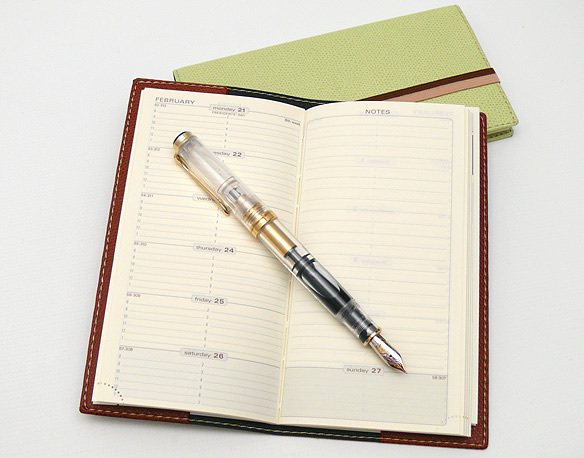 Writing in a planner or diary is an opportunity to help keep your penmanship in tip-top shape. 8. 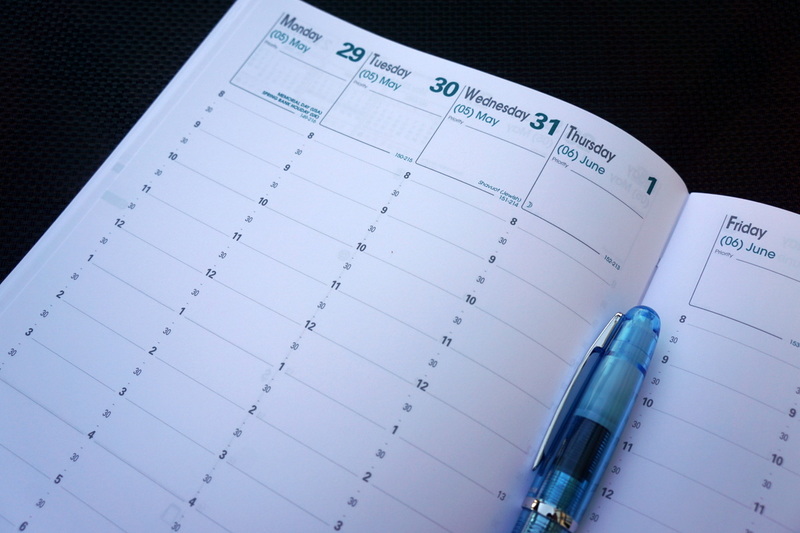 Maybe it’s just me – I really prefer the “week at a glance” or “month at a glance” view in a paper planner over a digital planner, especially for the non-work related events in my personal life. 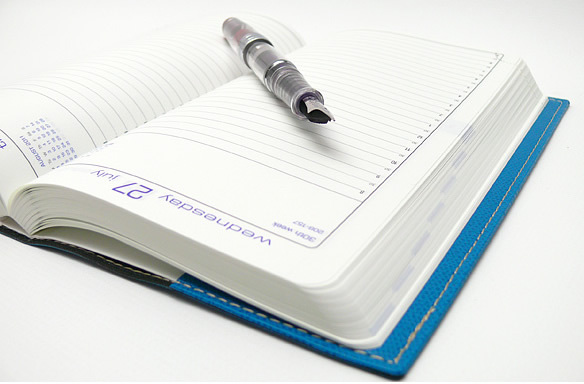 Do you use a paper appointment book? 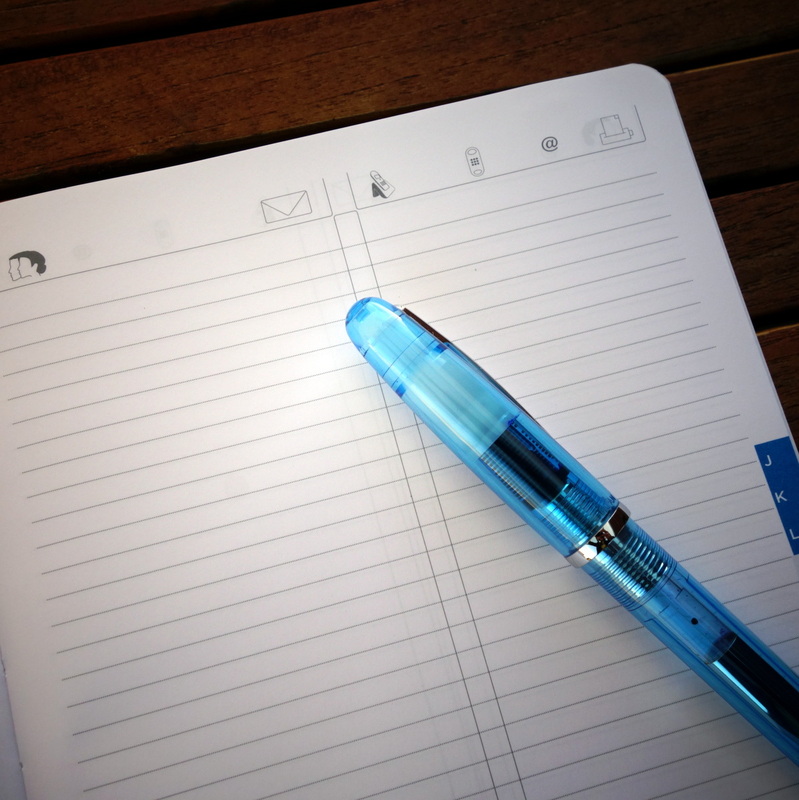 Why do you enjoy recording upcoming events using pen & paper? 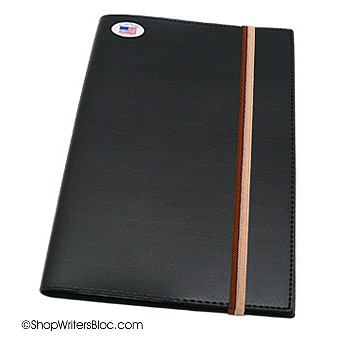 Planners for 2016 are now in stock at Writer’s Bloc.